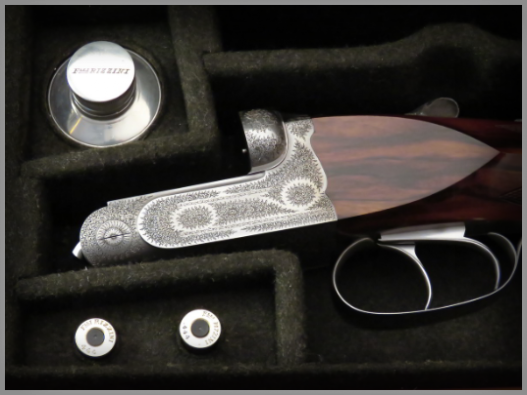 Model R3 Safari is our boxlock double rifle. It is provided with double intercepting sears which make it very safe in the use avoiding any possibility of accidental firing. The rifle fits obviously our patented ejector.The rifle can be ordered in the calibers 9.3 X 74 X 8 and R 57 JRS, each with dedicated action. Our Boxlock double rifles are fitted on 20 gauge Model R3 actions . We have made a very strong gun with a beautiful line and, in addition, we have obtained a very safe boxlock rifle by using our patented intercepting sears system. 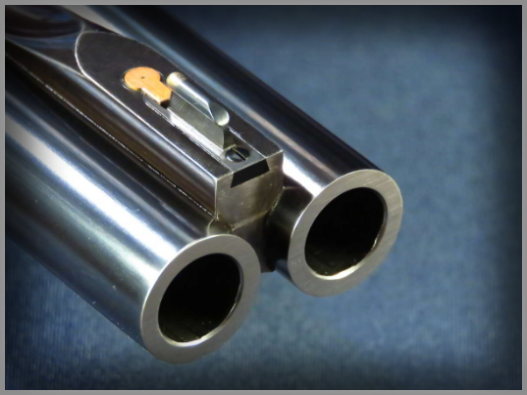 On these guns we fit rifled barrels made in house using best quality steel and hand lapped to perfection. All components of model R3 Safari are created starting from solid blocks of steel and then are carefully hand fitted and polished. 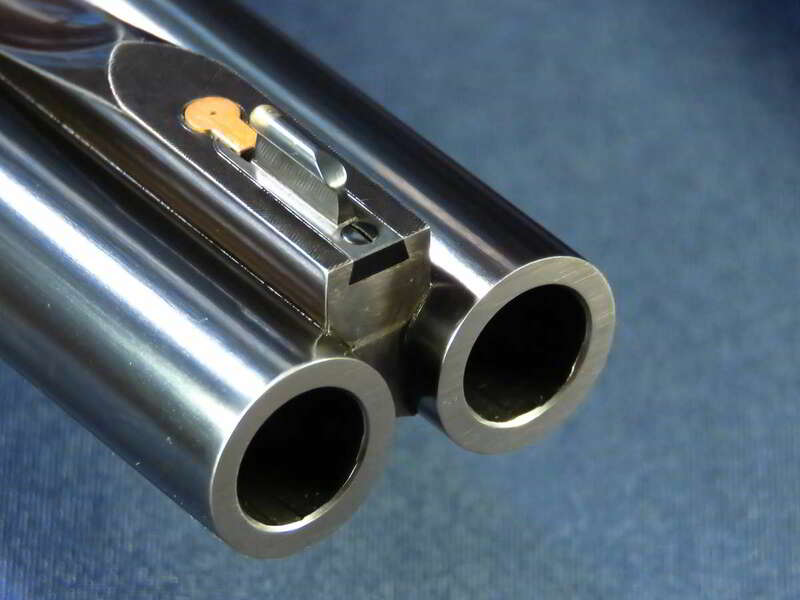 Each gun is fitted with intercepting sears and ejectors designed by Guido Rizzini and, on small calibers, also with his patented single trigger mechanism.Like all of our shotguns, this model is made only to order and the customer can specify the barrels length, the chokes, stock dimensions, triggers configuration, forend shape and, of course, the engraving. The woods are seven years seasoned, oil polished using a long process that needs more than two months to be completed. The barrels are obtained from hand forged blanks, hand polished and rust-blued; the result is as close as possible to perfection.